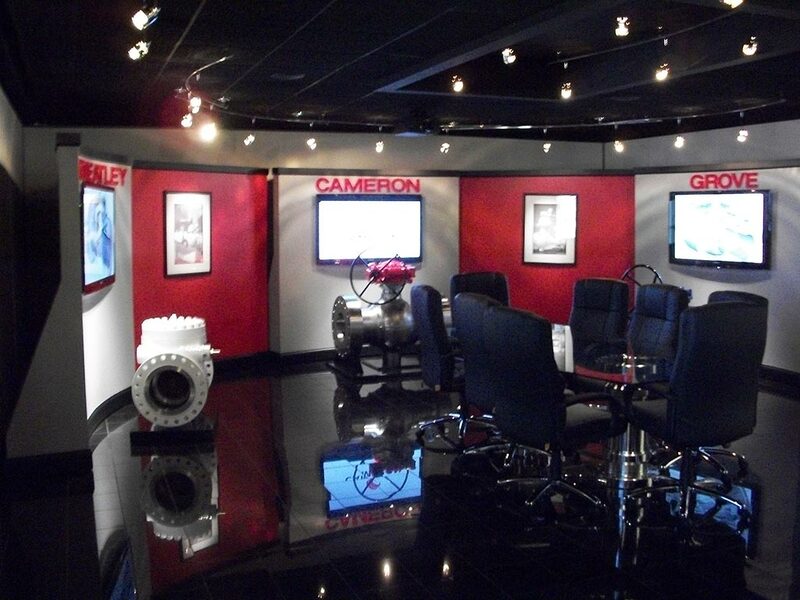 The Product Presentation Room at the Cameron Ville Platte Facility involved renovation of an existing interior occupied space. Work included demolition, relocation of existing electrical, HVAC and fire sprinklers, construction of 2 fur down drywall ceilings, curved accent walls, fully computerized and automated audio and video system with a wireless control module and specialized lighting. Among the finishes were level 5 drywall, painted accent walls, porcelain tile, frameless glass doors, wood base and wainscot trim, specialized furnishings and artwork. Because this space is to be used for sales presentations and entertaining clients, the quality and workmanship was of the utmost importance. 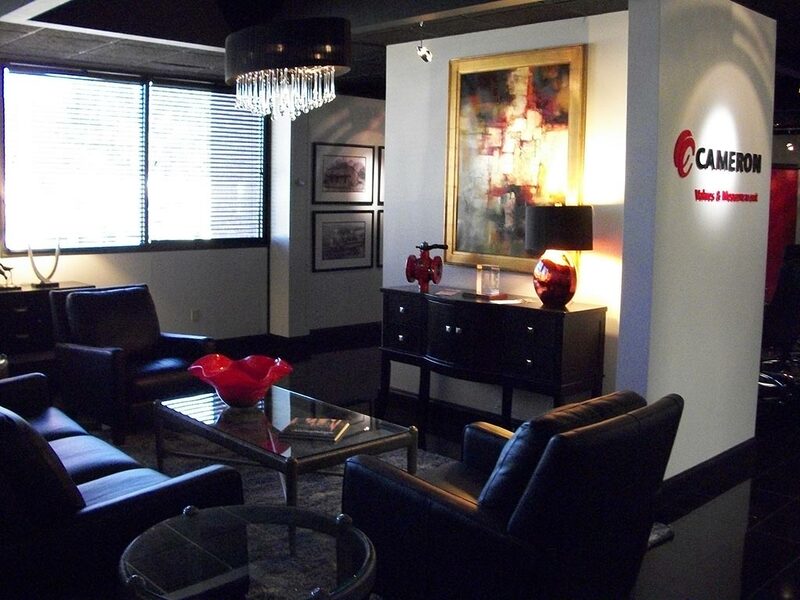 Specialized lighting accented brightly painted walls, thus making it imperative that finishes were perfect. Careful planning, innovative thinking and detailed input from the client made it possible to successfully complete this challenging design-build project.